Trying to repair your garage door on your own when it breaks down isn't a good idea. This type of system is very complex, and a lot of its different parts are under a considerable amount of tension, meaning they can cause serious injuries when they are mishandled. To make sure whatever problem you're dealing with is resolved quickly and safely, give our team a call. 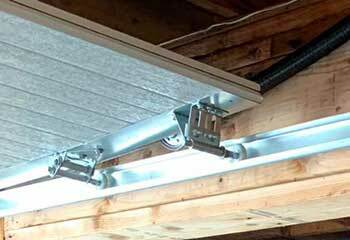 We are a leading garage door service company that specializes in fixing any type of issue these automatic mechanisms can experience. 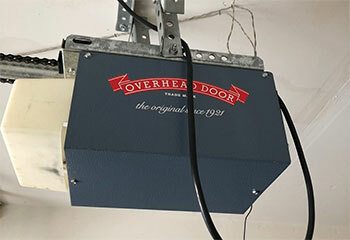 Apart from repairs, our team also provides maintenance and installation services, and we work with all of the industry's top brands to provide our customers with the best opener and door models available today. We have over ten years of experience, so you can count on us to be able to complete any task you may need. We have a wide range of products to offer you, from beautiful and durable Clopay garage doors to technologically advanced Genie and LiftMaster opener models. All our products are state of the art, and the replacement parts we use when repairing a problem are just as reliable and durable. We also work with brands like Amarr, Raynor and Chamberlain, so you can bet that our selection is very extensive. Naturally, you'll want your new door to last for as long as it can. It's a big investment so your right to want to get the most out of it. That's where our service appointments come into play. During each visit, our technicians will lubricate your springs, rollers and every other moving metal part that can benefit from it. We'll also test your opener's safety features, and make sure that the door reverses when it encounters an obstacle. Our maintenance service will allow you to avoid a lot of accidents, and greatly extend the longevity of your automatic system. If you decide you want to have your entire door replaced, we'll be more than happy to help you with that as well. We'll make sure you understand the different benefits and potential downsides wood, aluminum and steel garage doors present, and that you don't neglect to take everything from weight to R-value into account. As for the installation process, we'll make sure your new door is set up properly, and that every part of the mechanism is fastened and secured. Of course, other, larger parts of your system can also break down. Let's take the opener for example. This motor unit can experience its fair share of issues, as it utilizes both mechanical and electrical components. When it breaks down, you may be tempted to replace it with a new unit rather than have it repaired. A lot of times, that can be a great idea, as new modern models are often more reliable and have technologically advanced safety and security features. Our experts will help you find the best model for your home, and then set the new unit up for you at your convenience. 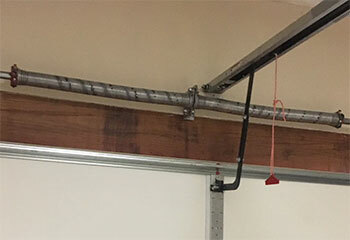 If we were asked what the most common problem garage door owners experience we wouldn't hesitate to say that it's the springs. These components support the weight of the panels and provide the counterbalance needed to help them move. That means they are under tremendous stress day in and day out, and that have a finite lifespan. The more you use your door, the closer these units get to their breaking point. When they do snap, replacing them can be very dangerous, so you better let our experts handle it. When something breaks down, even a relatively small component like one of the rollers, the entire system can stop working, or in this case, get off track. Every part of your automatic door has a very specific job to do, and when one component malfunctions, other parts of the mechanism are usually affected. Our technicians have the skills and the experience necessary to troubleshoot the issue, locate the source of the problem and apply the best solution for it in a safe and fast manner. For a few of our most recent latest projects, check them out below! This customer’s opener stopped reacting to the remote. Read more here. After realizing that his garage door torsion spring suddenly broke, this customer contacted our team. Learn more here. Is your door getting stuck? We can help you like we helped this customer with a similar issue. Learn more here. 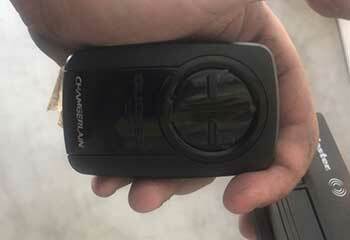 Problems with the motor of his garage door led this customer to call us. Find out what we did to help. Thanks for stepping in when my garage door got stuck last Friday. Your service person on duty was a great representative of your company and a clearly valuable asset to your team. We just had our opener repaired by your company and I'm very pleased with the results. Thank you for being so friendly, courteous and accommodating. Thank you for going the extra mile for us last week. Your technician was fully efficient in replacing my old garage door.